Hope you had a delicious and relaxing Thanksgiving! Our family enjoyed a casual and delicious meal with great conversation, followed by long naps in the afternoon…perfect way to spend Thanksgiving! I was going to set these live Black Friday morning, but decided to flip the switch tonight! Are you ready??? 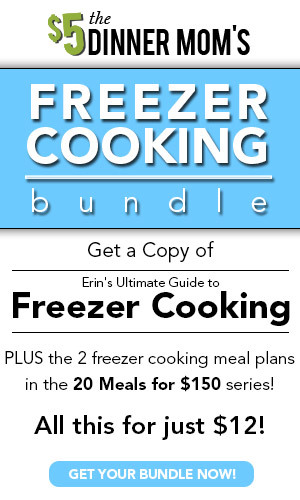 Until midnight on Cyber Monday, I’ll be offering this Freezer Cooking/Meal Planning Bundle for just $11. Then the bundles will be GONE FOREVER! Get all of this for just $12…savings of $8! You can find all this bundle and the 2 other holiday bundles in the $5 Dinners Store!